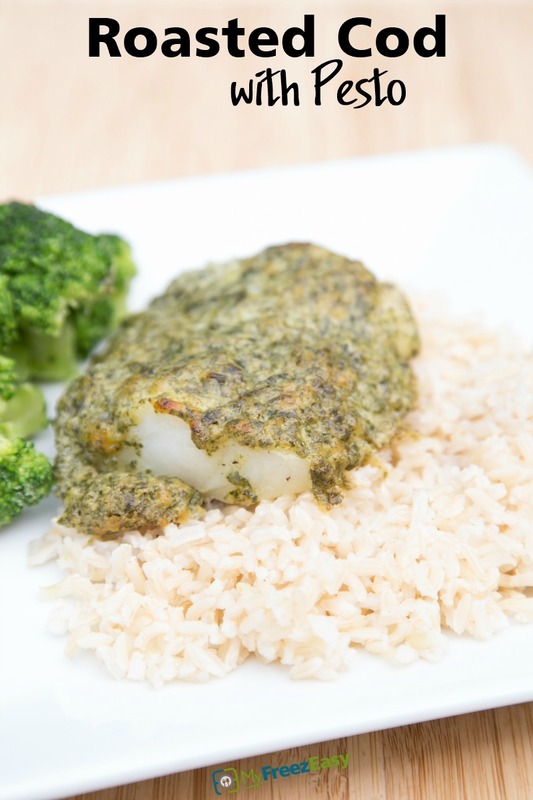 Pesto is good on mostly everything, but it really adds a nice flavor to this cod! Preheat oven to 400 F. Lightly spray a glass baking dish with cooking spray. Cut the cod fillet into 4 pieces. Season each piece with pinchful of salt and pepper. Spread 1 Tbsp pesto onto each piece. Bake for 15 minutes, or until cooked through. Cooking time will vary depending on thickness of the fillets. 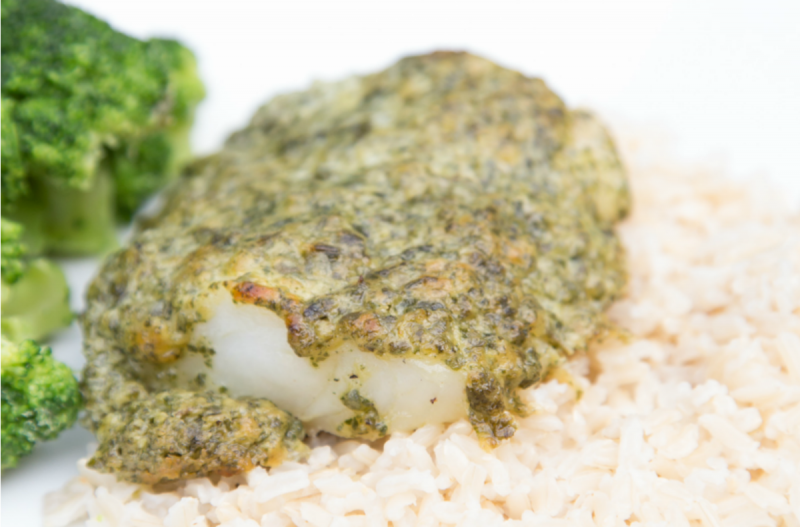 Serve Roasted Cod with Pesto with side of rice and veggies. Cut 2 lbs. of cod into 8 pieces. Pull out the bag the night before and thaw completely in the fridge. Roast as directed. This cod could be prepared in small disposable freezer safe baking tray and then frozen. Recipe is dairy free when you use dairy-free pesto. Thaw fish completely. Bake at 400 F for 10 to 15 minutes, or until cod is cooked through. Serve Roasted Cod with Pesto with rice and veggies.